For a relatively tiny island, with such a high ratio of urban development, Singapore contains a surprisingly large number of birds – native species as well as seasonal visitors due to its strategic position on a migration route between temperate Asia and the eastern tropics. 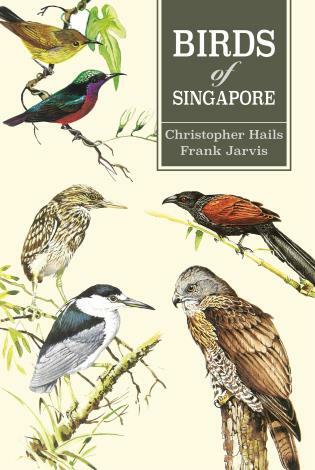 In this classic guide, Dr Christopher Hails leads the reader to all the major birdwatching habitats in Singapore, explaining changing patterns with shifting development and nature's fascinating adaptations to urban encroachment. His scholarly insights into migration, simplified for the lay reader, are enthralling and illuminating. The illustrations have been painted by artist Frank Jarvis entirely from field sketches and, where essential, from studying skins and nests in the valued Raffles' Collection, thus offering the highest level of accuracy in both the birds' features and their behaviour. On the 30th anniversary of its publication, Marshall Cavendish is proud to release the paperback edition of this evergreen work, whose keenly observed illustrations and explanations have yet to be surpassed. Dr Christopher Hails received his doctorate from the University of Stirling, Scotland. In 1982 he joined the government of Singapore to research into the habitat needs of local birds for conservation and landscaping purposes. Frank Jarvis was born in London and studied fine art, stained glass and mural painting at the prestigious Hornsey Art School. His works, specialising in birds, have been exhibited widely in the United Kingdom and overseas.